Spring Fests of Saws, and Boats, and Bears, Oh My! The Cajun Coast Spring Festival Season begins in earnest with three signature festivals and the weekly Rhythms on the River in April! Mardi Gras, or “Fat Tuesday” is a day of feasting and celebration before the traditional observance of Lent, a time of fasting and sacrifice for 40 days leading up to Easter Sunday. The date is based on the spring equinox, so it varies each year. Celebrate the eagle and other birds during Eagle Expo February 22-23, and find amazing birding and wildlife viewing on the Cajun Coast any time of year. If your New Year’s resolutions include more adventures – come on down to the Cajun Coast, and we’ll help you check adventuring off your list! Paddle the Atchafalaya, blaze a trail, take in culture, or even play the slots! We’ve got you covered! There are so many ways to have a great time on the Cajun Coast! Come Christmas on the Cajun Coast where holiday events are magnified with the beauty of the Atchafalaya Basin and the Louisiana coastline! We will treat you to Cajun fare, hospitality, and live music, where joy, or joie de vivre is a normal way of life! Enjoy The Most Wonderful Time of the Year on the Cajun Coast! You love your family, but let’s face it, hotels were made for when family comes to town! And the Cajun Coast has got you covered this holiday season! Take the stress out of Thanksgiving and find your folks a great rate with Friends & Family Holiday Hotel rates on the Cajun Coast! Fall, like in most parts of the country, signals harvest time! On the Cajun Coast that also means festivals to celebrate! Take a Drive Along the Coast The fall is such a nice time for a drive. 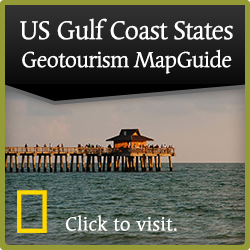 As the weather cools a bit, you might even be able to put the top down as you head to the coast for a scenic byway drive along the road less traveled. When temperatures rise, we naturally flock to the water’s edge, and luckily, the Cajun Coast has a lot of water to enjoy! And with an abundance of water comes an abundance of diverse water activities. We have organized them into the top ten favorites. If you are a motorcycle enthusiast or BBQ aficionado, you will want to set your course for the Cajun Coast in July! When, “Hurray, school is out for the summer,” turns into “I’m bored,” the Cajun Coast has got you covered! Not only are there plenty of outdoor places to roam, we even have some sneaky educational options that are so much fun, they won’t even notice they are learning! The Atchafalaya Basin is the nation's largest river swamp, containing almost one million acres of the nation's most significant bottomland hardwoods, swamps and bayous. The Cajun Coast has many options to explore this vast wilderness along with even more waterways to explore! When you think “Cajun” you automatically think food and music, and the Cajun Coast has its fill of both, but music takes the stage, literally this spring. While we celebrate the Eagle during Eagle Expo in February, birding and wildlife viewing is amazing on the Cajun Coast throughout the spring. Located along the Mississippi Flyway, the Cajun Coast is home to some of the most awe-inspiring birdwatching opportunities in the country. Come Mardi Gras on the Cajun Coast! Traditionally, the Mardi Gras season begins on January 6, the Epiphany, or Three Kings’ Day when the Wise Men visited the Christ child, and continues through Mardi Gras Day, always 40 days before Easter which is set based on the spring equinox. Mardi Gras includes not only the “Throw Me Something, Mister” parades, but also balls and parties, where Mardi Gras royalty are celebrated. Come Christmas on the Cajun Coast! Christmas is a magical time of year, but when you Christmas on the Cajun Coast, that magic becomes even more magical, when holiday events are coupled with exploring the beauty of the Atchafalaya Basin, feasting on Cajun fare, and meeting locals whose holiday hospitality is practiced all year long. “How’s Your Mom-and-Dem”? As the greeting goes, and with Thanksgiving the fourth week in November, thoughts turn this time of year to family. Family is very important on the Cajun Coast where generations have made their living along its waterways. And we have everything you need to plan the perfect family reunion! 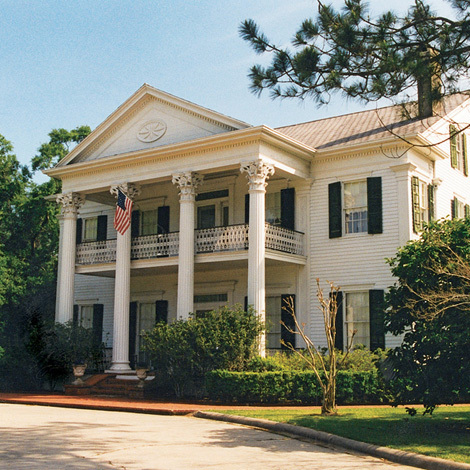 From Harvests to Historic Exploration - there's plenty to do on the Cajun Coast this fall! As summer slowly begins to give way to fall, everyone wants to be outside, including the animals along the Cajun Coast. Alligator spotting becomes more frequent on swamp tours and birds traveling along our flyway to warmer climates fill the skies and skim along the water’s edge. Laid back foodies, you have found your vacation paradise on the Cajun Coast! Ah, Summer, and the Livin’ Is Easy. Being on the water, whether on a peaceful inlet bayou or the deep blue seas of the Gulf, is a perennial summer pastime. With the sunlight reflecting off the water, the cares of normal 9-to-5 living slip into the rhythm of the lapping waves. Some mamas love the outdoors - especially Mama Cayenne. With approximately as much waterways as land, the Cajun Coast is home to remarkable eco-systems not found in any other state. Unusual Spring Festivals - You’ve got to admit, an area that celebrates shrimp & petroleum in the same festival, has some work to do to top the distinctive festival list, but we have some interesting festivals in the spring that you’ll want celebrate a little differently. See our calendar for the full line-up. St. Patrick’s Day celebrations on the Cajun Coast feature more than just parades in an area known historically for the Civil War Battle of Irish Bend and settlers of many different cultures, including Irish, English, Italian, French, German, Danish, and Native American. Ahh - romance! Your eyes adjust to the soft, morning light filtering in through billowing curtains, as you pick up the faint aroma of bacon and coffee wafting in from beyond your suite door. Flying South for the winter? Snow birds eager to escape clouds, miserable weather and frigid temperatures often think of Florida for the winter months unless they have family and friends to visit in Louisiana. On the Cajun Coast, we agree. Everyone can have a fishing pole in their hands year ‘round here. It’s just a matter of choosing where you want to cast your line. Awakening to thunder from a late afternoon nap, flashes of brilliant lightning lanced through the windows, burning my eyes with white magic. Ancient Grecians surely watched with anticipation as their favorite contestants competed in early Olympic events like boxing, archery, chariot races and discus throwing.